+22 NEW resources coming soon towards our target of 1,000! 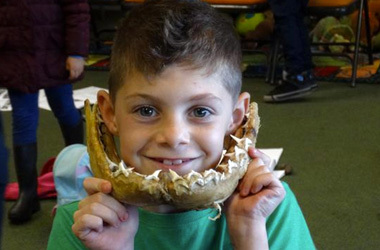 We provide bespoke curriculum-relevant educational visits to the Isle of Wight supported by 704 quality resources and activities designed by local teachers. Enrichment by stealth! What do we mean by bespoke? Simply that everything about our service is customised to suit your exact requirements, at no additional cost to you. Just pick and choose the bits you need to make up your perfect Isle of Wight school trip, and our local experts will take care of it all for you. Transport. Accommodation. Activities. Paperwork. Whatever. A single point of contact for everything you need to deliver the perfect school residential or day trip. 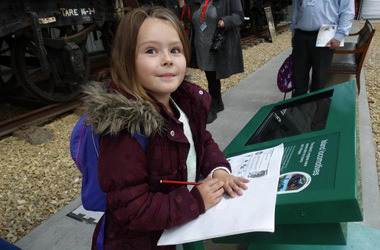 We provide bespoke curriculum-relevant educational visits to the Isle of Wight. Just pick and choose the bits you need to make up your perfect Isle of Wight school trip, and our local experts will take care of it all for you. Transport. Accommodation. Activities. Paperwork. Whatever. 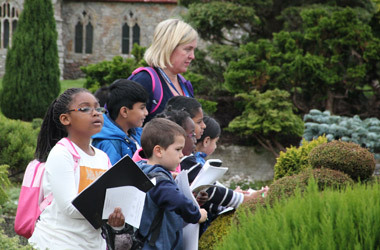 Developed by a team of experienced teachers with a love of the Isle of Wight, our resource packs are FREE to use when you book your school trip with us. There are now 704 resources and activities to choose from, with many more in development and planning. All address particular National Curriculum or main exam board syllabus requirements, and most are differentiated for ability, making it easy for mixed ability groups to share the same activities whilst working at different levels. Our resources will help you see your favourite Isle of Wight school trip attractions in a new light and promote stealth learning. We want students on our Isle of Wight school visits to enjoy themselves equally - so when designing our wide range of teaching resources and educational activities we pay special attention to the needs of mixed ability groups. Our resources are designed so that students with differing abilities (or even students in differing age groups) can undertake a version of the activities which is best suited to their particular requirements, whilst enabling the whole class or group to work on the same tasks at the same time. Our team also includes a SEN specialist, who can be called upon to help modify any particular activity to suit an individual's specific needs, should you wish to do this. We like to give our teachers as much flexibility as possible when using our resources and activities as part of a school trip. 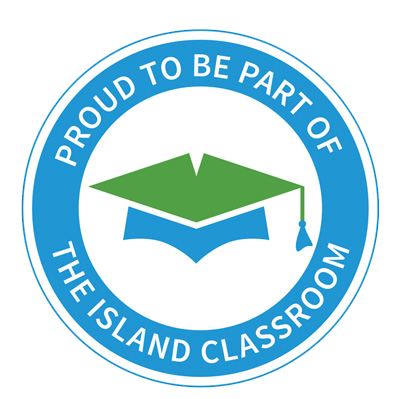 We are happy for you to use our Isle of Wight school visit materials as you see fit to best support your own schemes of work and teaching styles. For each venue, subject and age range we supply a mix of pre-visit, on-site and post-visit activities. All of the people who help us develop our wide range of school trip resources have very recent teaching experience - some are still actively teaching to some extent. All of them live on the Isle of Wight and are passionate about their home and it's incredible range of learning opportunities. We help you see your favourite Isle of Wight school trip attractions in a totally different light! At the Isle of Wight Steam Railway you'd naturally expect to be able to learn about history, the Industrial Revolution, and perhaps a little engineering. But chemistry, mathematics and English? At Goodleaf Tree Climbing you might expect to learn a little about biology and conservation. But Pythagoras' Theorem, levers and pulleys and instructional writing? 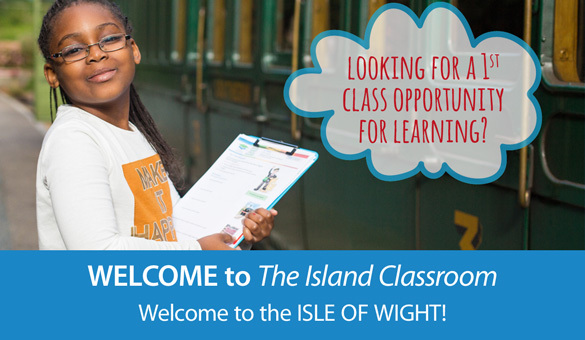 Our expert teachers have carefully considered all the teaching possibility for dozens of your favourite Isle of Wight visitor attractions and locations against the entire National Curriculum. 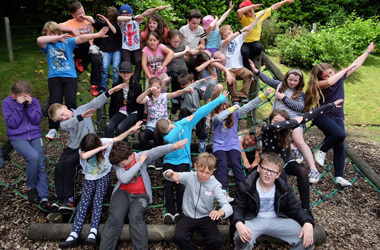 We regularly surprise ourselves at the innovative activities that we come up with and we invite you to come and experience some of these FREE of charge when you book your Isle of Wight school day trip or residential visit through Education Destination. Because we offer bespoke Isle of Wight school day trips and residential visits, if you'd like us to we can provide your transport, ferry crossing, accommodation and itinerary booking for you. In most cases it won't cost you a penny more - in fact, you could even save money and have us do all the hard work for you! As an Island based business dedicated to increasing school visits to the Isle of Wight, we've partnered with many local visitor attractions and service providers to bring you a fully safety-managed service. We work on a 'revenue share' model which means that when we bring visitors each partner involved provides us with a small discount, which is then re-invested in improving and growing the service in future years. All of your payments are protected. Full details are available on request, and will be provided with your booking form. Working with an independent local Chartered Member of the Institute of Occupational Safety and Health (CMIOSH), we have developed a Safety Management System which seeks to meet or exceed the most stringent requirements of the UK's Local Education Authorities. This means that all our partner organisations - accommodation providers, venues and attractions - have had their safety systems evaluated and documentation checked and collated annually. When you book with Education Destination, we'll give you instant access to all these audits, along with current Risk Assessments, Access Statements (where available) and certificates such as Public Liability Insurance, saving you time and helping your internal approvals process. Based in Rookley, slap bang in the middle of the Isle of Wight just outside Newport, our specialists are on hand to answer any questions or concerns you may have leading up to your Isle of Wight school trip, and are available to you throughout your visit in the unlikely event of any problems arising. All have a background in education and so fully understand your needs and requirements, no matter how unusual. A 24 hour helpline is available throughout your trip in case any issues arise that you cannot resolve yourself, or in case you have any exceptional questions that need an immediate answer. Quite apart from the fun and excitement offered by our wide range of educational visit locations and attractions, we offer a selection of reward activities too. 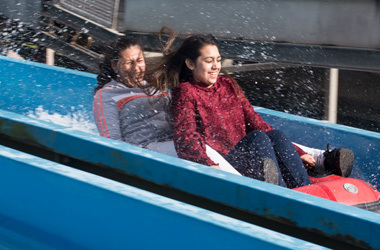 This list is ever-changing and of course is somewhat seasonal, with a choice of indoor and outdoor activities, from laser storm to tree climbing, theatre productions to go-karting, and much more. 10/10 without your help, advice and the brilliant educational resources, this trip would not have been anywhere near as good. You responded immediately to all of our many questions and produced an excellent itinerary for our week. 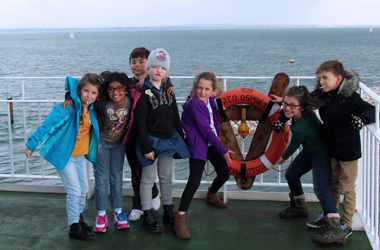 Having not taken our school to the Isle of Wight before we did not really know what to expect and how it was going to turn out, but everyone said what great week it was and there was a good mix of activities and something for everyone to enjoy. We have had good feedback from the parents who have said how much the girls enjoyed themselves. 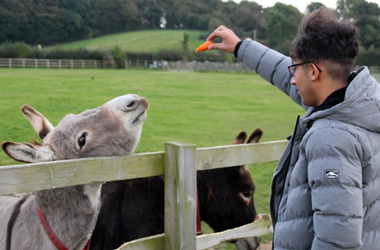 Feedback kindly provided by Karen Paddock, whose group of 40 KS3 students visited IW Donkey Sanctuary, Dinosaur Expeditions, Tapnell Farm Park, Robin Hill Country Park, Carisbrooke Castle, isleJump Trampoline Park, Osborne and Laser Storm @ JR Zone whilst enjoying the hospitality of Brighstone Holiday Centre. It was delightful to have contact with the education destination team on the Island as it made myself as group leader feel there was that added safety element to the whole trip and that there was a name and a face to support if there were any problems (which of course there weren't). 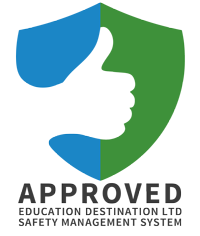 Education Destination have gathered so much information saving the school endless extra hours. It was great that schedules could be accessed online including all of the school information and activities for the places we were visiting. The website was brilliant for this. 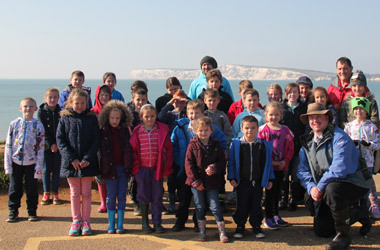 Feedback kindly provided by Wendy Leeming, Head Teacher, whose group of 30 KS2 upper students had a 4 day trip including Dinosaur Expeditions, Alum Bay, Blackgang Chine and Osborne, whilst staying at Brighstone Holiday Centre.